Buying and rehabbing a home can be an expensive proposition. However, a 203k loan insured by the Federal Housing Administration can help. Under the 203k program, homeowners can borrow mortgage money not just to fund the purchase of a home, but also to cover the estimated costs of restoring or rehabbing it. Be prepared: Applying for an FHA 203k loan can prove time-consuming and costly. The U.S. Department of Housing and Urban Development, which runs the FHA, launched the 203k program as a way to encourage the revitalization of neighborhoods with deteriorating housing stock. These loans are designed to make it easier for buyers to purchase homes that are either severely damaged or in need of costly restoration. 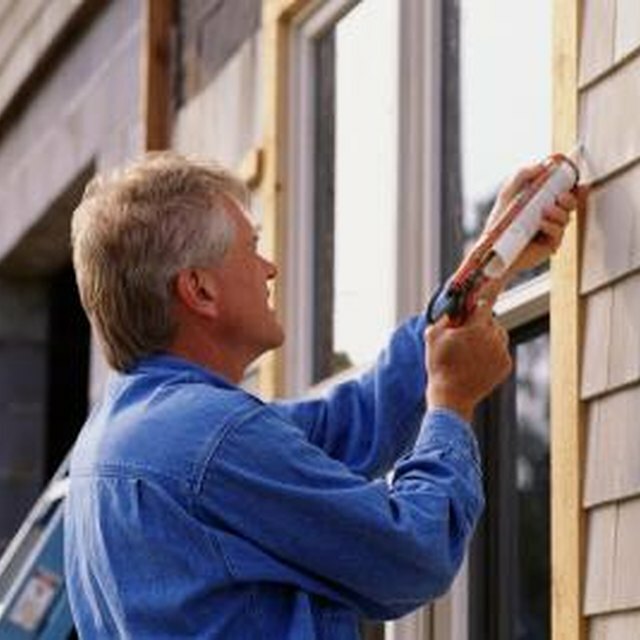 The loans cover such repairs as new roofs, bathroom remodels, kitchen renovations, room additions, second-story additions and other structural and non-structural repairs. Because 203k loans don't just cover the purchase price of a home, financing is more complicated. Buyers must pay for a home appraisal that estimates what the market value of the home will be after these buyers complete their planned restoration work. Buyers must also draft a report stating exactly what repairs they plan. Finally, they must provide written estimates for how much the repairs will cost. Applying for an FHA 203k loan requires buyers to fill out the standard Uniform Residential Loan Application. To complete this form, buyers must provide such information as their full names, Social Security numbers, current addresses and previous addresses. They must also provide information about their employment, gross monthly incomes and debts. Lenders will also require that borrowers prove their incomes. They can do this by sending lenders copies of such paperwork as their most recent paycheck stubs, income-tax returns and bank-account statements. What is a HUD Home Loan? The main benefit of an FHA 203k loan is that it allows buyers to include the estimated costs of restoring a home in their monthly mortgage payments. This makes it easier to pay for these repairs, and doesn't require borrowers to come up with large sums of money to cover them. On the negative side, not all lenders originate 203k loans, so borrowers might have to call several to find one that participates in the program. These loans often come with higher interest rates because lenders are taking on more risk by lending more than what a home is currently worth. The higher rates provide lenders with some financial protection. Realtor.com: What is an FHA 203(k) Loan?